Bijna has 19+ years of professional experience and has worked across EMEA, the Americas and Asia. She has a robust track record of delivering successes for global Banking and Financial Services. Bijna serves the Boards of FinTech Connect, CIONet, IPQC CDO Exchange, and the Inclusive Companies Network. She is a FinTech Mentor and films videos on Mentorship, Leadership & Technology. Bijna is a Fellow of the RSA, St. George's House, Windsor Castle and an Associate Member of Oriel College, University of Oxford. Bijna advises / advocates for a diversified portfolio of Business, Technology, Social Impact, I&D causes. She has spoken to global audiences at Deloitte, Edinburgh DataFest, Amazon, Sky, Lloyds Banking Group, Universities (Auburn, BPP, Edinburgh, De Montfort, Imperial College London, Oxford, Sheffield), Appway, CIO NEXT, Bloomberg, Retail Banking Forum Europe, FinTech Connect and others. She serves as a Host / Judge / Speaker for a portfolio of events and awards. Bijna has been recognised as one of the Innovate Finance Women in Fintech Powerlist (2019-18), one of the #TechWomen100 (2019), as 'Business Role Model of the Year' by the Women in IT Awards & Amazon (2019), by the Lloyds Banking Group Top 100 BAME Role Models List (2019, 2018) as a 'Global Champion' (#60) of the Top 100 Executive #FTHERoes18 by the Financial Times (2018), with an Honorary Doctorate from De Montfort University (2018), by felicitation at the House of Lords (UK), at the NRI Pride of India World Summit (2017) for 'Making India Proud'. 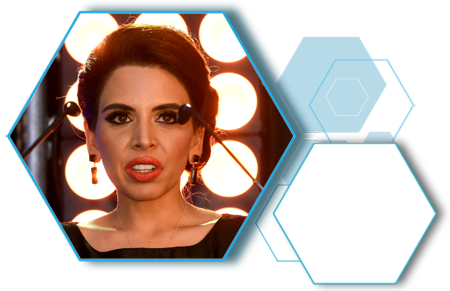 Bijna is credited as one of the Top 50 Visionary Young Leaders in Business, by Henley Business School (2017), one of 35 leading British Business Women under 35, by Management Today, Accenture and The Telegraph (2015) and has received recognition with 15 further honours including the National Diversity Awards (2012) and the Asian Women of Achievement Awards (2010). Bijna is also the International Women’s Day Young Achiever of the Year (2006). Paul Sesay is the Founder and Chief Executive Oﬃcer of the National Diversity Awards, Excellence in Diversity Awards, Welsh Diversity Awards, The Diversity Group and events company I Spoil U Media Limited since 2006. Paul’s business acumen has mainly been with a social focus. 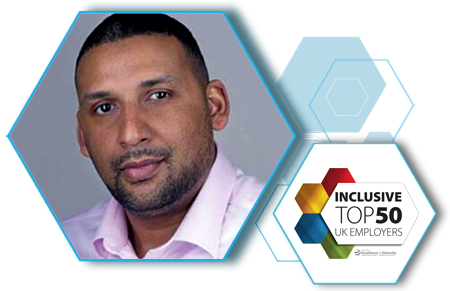 With over ten years worth of experience within the Diversity, Equality and Inclusion sector, Paul has worked with some of the largest organisations in the world on their diversity and inclusion proﬁles. 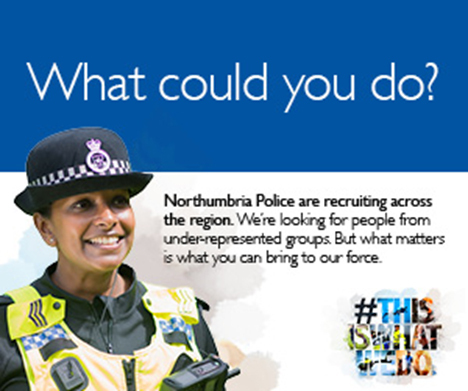 He has also worked within local communities to help people from various backgrounds to achieve and empower disadvantaged groups throughout the UK. Paul’s initiatives have helped many thousands of organisations and individuals get recognised for their hard work and dedication to diversity. 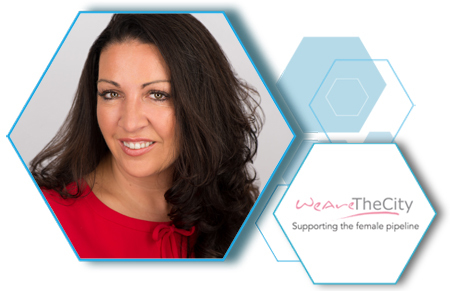 Vanessa is one of the UK’s most well-networked women and has provided keynotes on a variety of career related topics for over 400 companies worldwide. Vanessa is also one of the UK’s most prominent figures in gender equality and often provides guidance and consultancy to both government and corporate organisations who are seeking to attract, develop and retain their female talent. At the height of her successful 25 year career in the financial services, Vanessa launched the award winning WeAreTheCity.com in 2008 as a vehicle to help corporate women connect and grow professionally and personally. WeAreTheCity.com now has over 60,000 members and in 2013 launched a sister site in India. Vanessa is the also the -founder of UK wide diversity forum Gender Networks. Gender Networks (formerly The Network of Networks) brings together diversity leaders from over 120 firms to share best practice. Vanessa is the author of the book “Heels of Steel: Surviving and Thriving in the Corporate World” which tracks her career and shares 13 chapters of tips to succeed in the workplace. Over the past seven years, she has been named Women in Banking & Finance’s Champion for Women, Financial News Top 100RisingStar, The International Alliance for Women Top 100 Women globally & Brummells Top 30 London Entrepreneurs. In 2015 Vanessa was in GQ UK’s Top 100 Connected Women and the Evening Standard’s 1000 Most Influential Londoners. Vanessa is a regular guest on TV and radio and also sits on the Government Digital Services advisory board. Vanessa is also the Pearly Queen of The City of London, a tradition that has been in her family for over 100 years. She is an avid charity worker and sits on the board for Cancer Research UK as one of its Women of Influence. Keynotes and workshops include The Power of Profile, The Power of Social Media, The Big Brand Theory, Speed Networking, Speed Mentoring, Pay it Forward Manage Your Career. Vanessa is also available as a panellist, facilitator and leadership development programme host. All talks can be tailored towards specific audiences. Graeme K Whippy is a disability consultant who helps organisations become brilliant employers for disabled people, and consequently brilliant employers for everyone. A career in IT starting in the 80s led him to becoming an expert in Digital Accessibility in the early 00s. His work in this field was recognised in 2009 by being awarded Outstanding Contribution by an Individual at the UK Financial Sector Technology Awards. 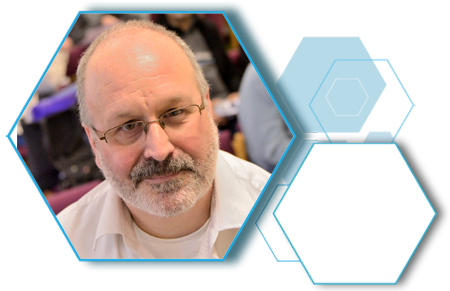 In 2010 he wrote the procurement annex for BS 8878, a British Standard on Web Accessibility. Transitioning into a full time disability management role at Lloyds Banking Group in 2010, he become recognised as an expert on matters relating to disability in business and a well-known agent of change. His key achievements included creating an award-winning approach to making workplace adjustments for disabled employees at Lloyds Banking Group, and leading the creation of the Dementia Friendly Financial Services charter whilst representing the UK banking sector on the Prime Minister’s Dementia Challenge 2012-15. Now an independent consultant, Graeme takes a pan-business approach to helping companies embed best practice on disability and inclusion with workplace adjustments as a core focus. His clients include Channel 4 Television (where he was their Disability Specialist and created their much lauded free guide for the media sector on employing disabled talent), Viacom International Media Networks, and Financial Ombudsman Service. In 2012 he was a member of the steering committee that formed the government’s Disability Confident scheme and still works closely with the Office of Disability Issues on the scheme and other elements government support such as Access To Work and the recently published framework for voluntary disability data reporting. Graeme was awarded an MBE in 2016 for his services to people with dementia and disabilities. 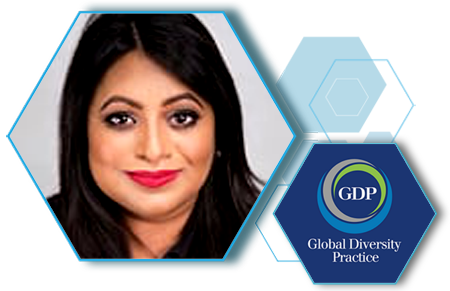 Farrah Qureshi, CEO of Global Diversity Practice, is globally recognised as one of the foremost experts on Diversity and Inclusion consultancy and training. She is a pioneer in developing global diversity consulting and has worked in and delivered to clients and delegates in over 150 countries worldwide. Farrah is a regular keynote speaker on D&I, unconscious bias and inclusive leadership, having headlined conferences for Walmart, Unilever, the World Bank and many other prestigious organisations around the world. Farrah holds a BA (Hons) in Organisation Studies and an MA in Policy Studies. She is also the author of ‘Understanding Diversity – An Organisational Guide. Farrah has over 25 years of experience in Diversity and Inclusion. Some of her achievements include: presenting to the European Union on International Best Practice in Diversity and inclusion and pioneering the first diversity learning module delivered to International MBA students representing 70 nationalities at Warwick Business School for five years. Her career combines academic rigour as Head of Consultancy Solutions for the University of Leeds, supplemented with various OD posts in both governmental and private sector organisations over the past 16 years, developing and heading both European and global diversity practices. Prior to her current position, Farrah was Managing Director with Norman Broadbent Executive Search and Selection, for five years developing and heading up their successful global diversity consultancy. Farrah has received substantial recognition for her achievements throughout her career. Most recently, in 2012 Farrah was the recipient of the ENEI Award for Training Excellence for her ground-breaking training on unconscious bias for Santander leadership teams globally and in the UK. In 2016, Farrah won the Enterprising Woman of the Year award, and in 2017 was recognised for her lifetime of work to Diversity and Inclusion through winning the Bloomberg Excellence in Diversity Lifetime Achievement Award. 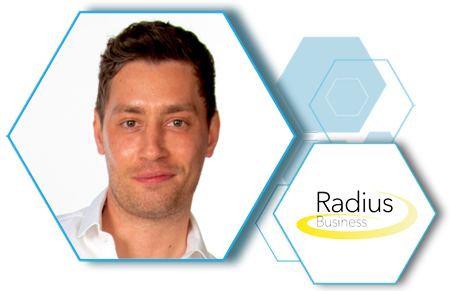 Entrepreneur Matthew has worked in the D&I industry for more than a decade and is the founder and Managing Director of Radius Business, the global leader in the training, development and resourcing of employee networks. Radius works with more than 300 organisations globally, including many of the largest and most recognisable brands in the world, and has trained thousands of network leads in more than 40 countries. Matthew has in-depth knowledge of the issues and challenges organisations face within D&I and vast experience of helping tackle them. He is the 2013 winner of the National Diversity Awards’ LGBT Entrepreneur of the Year. He previously sat on the volunteer board of Diversity Role Models and also supports many other D&I focused businesses via strategic partnerships. I have always been passionate about people and the benefits of networking and celebrating diversity. Growing up as a gay man, and addressing the challenges of dyslexia and ADHD, I understand how it feels to be perceived as different. I launched Radius as I was keen to demonstrate to the business community that difference can be harnessed to create more effective and innovative organisations. The National Diversity Awards – a prestigious black tie event, which celebrates the excellent achievements of grass- root communities that tackle the issues in today’s society, giving them recognition for their dedication and hard work. Charities, role models and community heroes will be honoured at the ceremony showcasing their outstanding devotion to enhancing equality, diversity and inclusion; thus embracing the excellence of all our citizens irrespective of race, faith, religion, gender, gender identity, sexual orientation, age, disability and culture. The concept for the National Diversity Awards arose when The Diversity Group identiﬁed an urgent need for more positive role models to be actively promoted, with the aim to empower and inspire the wide breadth of diverse communities across the UK. If ever there was a time to celebrate and elevate the truly staggering diversity of talent the UK has to oﬀer, it is now – opportunities are thin, and deprived communities need motivation and inspiration. These awards are for people who inspire other individuals through their work, through their commitment to helping others, through their infectious personalities and through adversity.